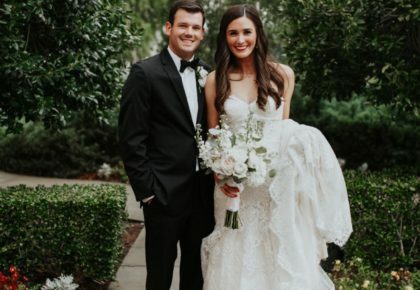 A gorgeous soiree like Elizabeth and Patrick’s is simply timeless! 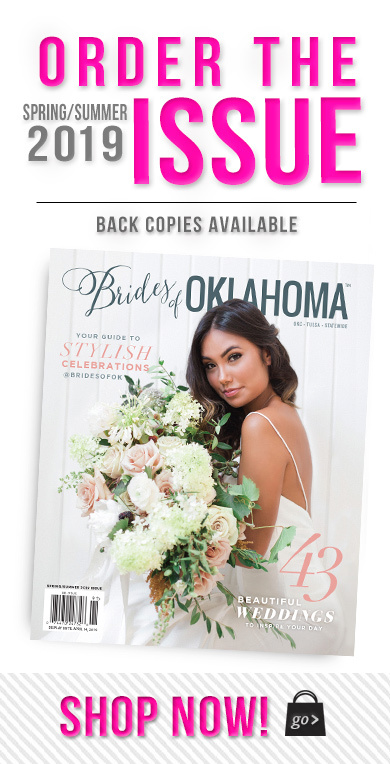 Their elegant country club wedding featured a fantastic team of Oklahoma wedding vendors that brought their vision to life! 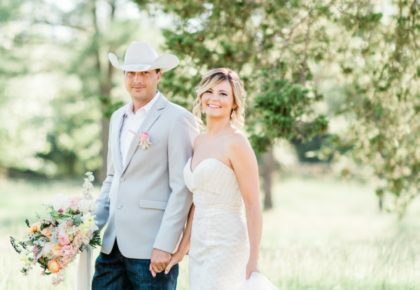 Mishelle Handy Cakes crafted a delicious five-tiered wedding cake and Mood Party Rentals + Marianne’s Rentals decked out the party with the perfect rentals. 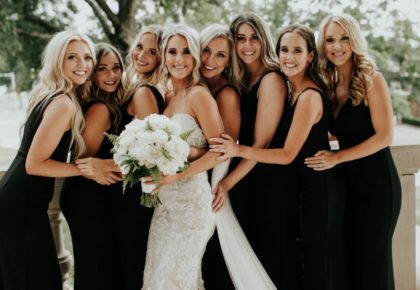 Elizabeth’s maids looked oh-so-chic in black bridesmaid gowns from Prim as they all danced the night away! Cheers to the happy couple!